Shuddhaanandaa Bramchari is a “motivation speaker and social advocate.”(Wikipedia). In the description within the book, under the heading “About the Author” at the end of the book, a brief introduction about the author is given. He is declared as “a globally acclaimed motivational speaker, author, spiritual teacher, social advocate and peace maker”. While reading the book, I observed some features about the contents of the narration. 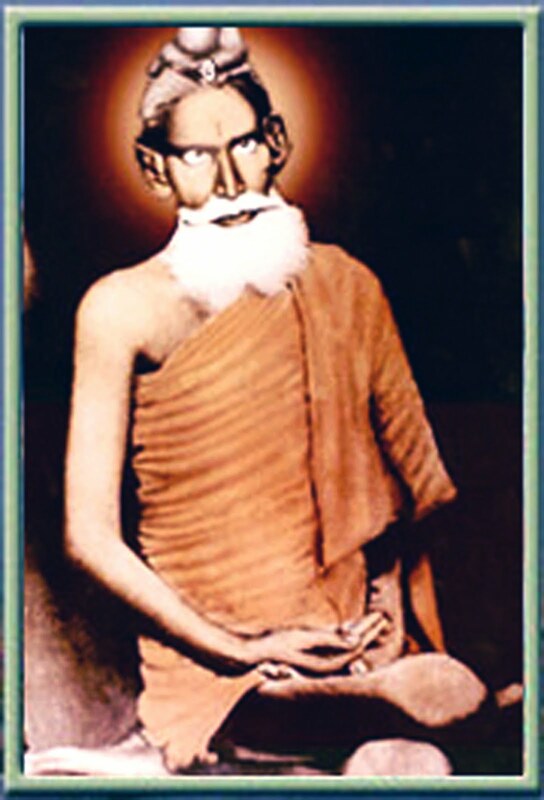 A foreign scholar was quoted by the author while writing about a point by Baba Lokenath. I bought this, while I was reading a Book by Yogi Ramchakra alias W. W. Atkinson. There also I had made a discovery about the author when I discovered a similar feature in the content. I was reading a book by a Yogi. I discovered because of the feature which I am emphasizing, that the author was someone else. It was then, that I googled and learned that the Yogi was actually W. W. Atkinson. I was not discouraged and disappointed by the contents. Therefore, I further bought the complete works of W. W. Atkinson. It is another thing that even in the case of this decision to further buy books of this kind, it was another episode. During my discussion with one of my friends about W. W. Atkinson, I learned about the book “Autobiography of a Yogi”. I had seen this title on the Kindle. After I had completed the reading of 14 lessons by Yogi Ramchakra, I started reading the other works of W. W. Atkinson. I read his Advance course. I sifted through his Science of Breathing title. Then I read the book on “Gnani Yoga” (Gyana Yoga, the spellings was preferred by W. W. Atkinson.) I had enjoyed the contents of the books. However, a different urge prompted me to buy the book “The Autobiography of a Yogi”. I had desired to read something purely written by an Indian. As it is a feature of writings of Atkinson, that his core idea is Occultism of East, but his elaboration and references are always from English literature. Therefore, there was an urge to read something pure Eastern Philosophy written by an Indian writers pushed me to buy a book by an Indian scholar. While I downloaded the book “The Autobiography”, I observed a display of the book by Shuddhanandaa. The picture displayed on the titled was quite gripping to look at. Earlier also, I had bought and downloaded Yogi Ramchakra only for the reason that the title displayed had attracted me. 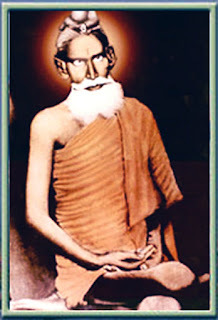 I believe, the picture printed on the title of a book by Shuddhanandaa is of Baba Lokenanda and that attracted my attention. (The picture is displayed within this post,) The second reason to buy these books was merely the price of the books. Without much caring about the motive and purpose, I downloaded the book. I have already completed the reading of the two books by Atkinson. I am in the middle of the third book. It was then, that I started reading the book by Brahmachari. After reading the five chapters, I found that I was not gaining much. Secondly, the contents had a peculiar nature. It prompted me to learn about the author. When I moved to the sixth chapter, I observed a chapter heading titled 'About the Author' in the content bar, which is a feature in Kindle Software. I opened the content of the title. There, I read about the author. वही, he is a motivational speaker – which the contents were suggesting and which I record as 'THE FEATURE' which as I have observed that it disturbs me. At that time, I used the feature of googling from the kindle itself and there I got the image of the author also. He has dyed hair and white beard. No doubt, I will definitely try to learn more about him. I do not know anything about him. But for me, this type of writing is not good. It is a spontaneous response and I am writing as the feeling are rising in my mind. I, however, end this post here. Important Message: I have no intention to show any disrespect to the author. I have juxtaposed the word Disappointment and his name. It may convey totally a different meaning. He or his supporters may not like the idea which it conveys. I am not apologetic for it. But I will like to emphasize that I do not have any harsh feeling against the writer. I write what I want to write. That is the only motive.